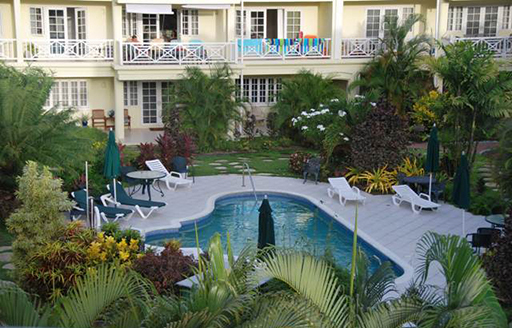 Margate Gardens is a modern development of 44 condominiums located in one of the most attractive and accessible areas on the south coast of Barbados. It combines all the features and benefits of a popular coastal location and accessibility to many retail and commercial outlets. 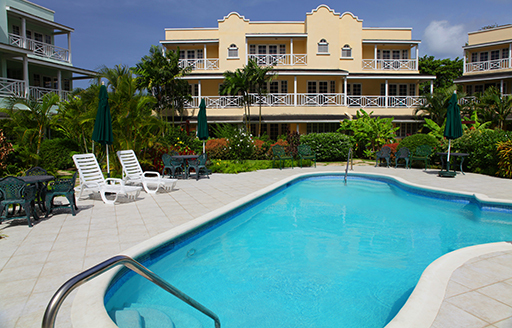 Immediately across the road from the beach and the popular new boardwalk that extends from Rockley beach to Coconut Court Hotel. A short drive or taxi ride away from Bridgetown to the west and the restaurants and bars of St Lawrence Gap to the east. Close proximity to some excellent restaurants, such as Champers, Black Pearl and Fusion. A variety of shopping malls, gyms and fast food outlets are within walking distance. A major supermarket is a short drive away. An excellent investment opportunity for those wishing to buy to rent. Unit rentals in Margate consistently enjoy a high occupancy. A beautiful home for those intending to live there, either permanently or for part of the year. A perfect location that provides value for money for those intending to rent, either short or long term.